Flowers decorated as a cake with birthday candles! This arrangement is one of kind and can be customized in colors of your choice. Pedestal design may vary. Flowers decorated as a cake with birthday candles! 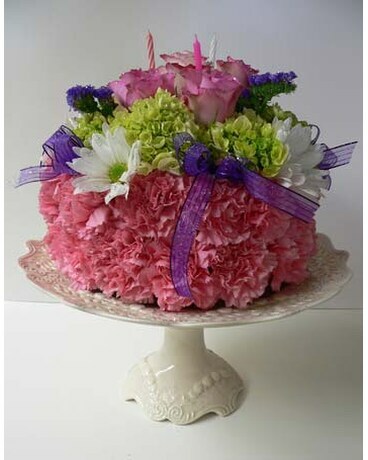 This arrangement is one of kind and can be customized in colors of your choice. Pedestal not included.